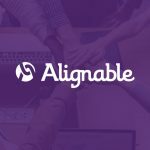 As a small business owner, you have probably heard about the growing small business network, Alignable. Chances are, one of your friends or clients have sent you an invite to join and you’ve wondered “What is Alignable?”. Well, I’m here to explain the platform, give you some advice, and walk you through my experience with it. 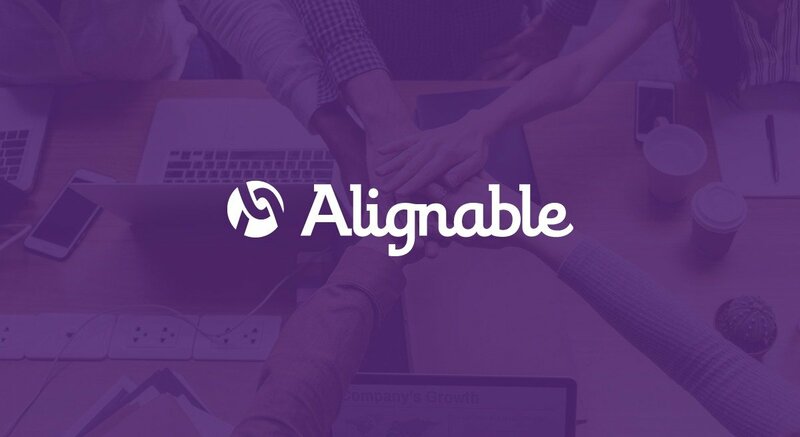 Alignable is a small business network that has been around since 2014 but has recently been picking up steam in small business communities all over the US and Canada. The purpose of the platform is to put business owners in communication with each other. It allows you to directly connect with owners and representatives of companies in your area. Once you connect with a business owner, you can chat with them and share information about your business and what you have going on. An updated directory listing every registered business in your area. In this section, you can view the most recommended businesses and the newest businesses. With the “newest” filter, you can view active businesses that you can reach out to. The analytics for your business are very useful if you pay for a premium membership. You can view the users who have viewed your profile and reach out to them specifically. If you are a business to business company, this can be a great list of potential leads. The question and answer forum allows you to engage with people in your community as well as users all over the US and Canada. When you answer a question, your answer appears on your profile which shows visitors your level of expertise. This is great for trust building and credibility. Those are just three of the many features of Alignable. If you pay for a membership, you get great benefits that can really help you grow your business and expand your network. The downside of the free membership is that you can only connect with businesses within a certain radius of your business. Once you upgrade, you have access to their whole network, which is very helpful. So how do you use Alignable? This platform is just like any other social media network. It’s all about what you make of it and how good you are at marketing your services and communicating with people. In our article about growing your local SEO, we talked about maximizing your social media presence and getting your business out there on reputable listing websites. Alignable is a great website for this. First things first… complete your profile! Add all the information you can to give everyone a clear view of your business and what you offer. Don’t leave anything out. The better your profile, the more credible you look on the platform. Spend some time putting together some graphics or photos for your gallery. Write an amazing opening statement about your company and fill out all the search tags. Add all your products and services. Don’t leave anything out. You want to market yourself effectively and the best way to do that is to give all the information you can. Next… exercise your social skills and start connecting. Once you have filled out your profile and you have everything in order, start connecting. Look for businesses that you are interested in and connect with them. If you offer a service that you think would benefit someone, connect with them and tell them about yourself. Send a connecting request and then message the business about you and what you offer. If you are trying to promote your services, get the connection first and then give them your elevator pitch. Once you connect with someone on Alignable, follow up with a LinkedIn connection request. This is a great opportunity to build your LinkedIn network with business owners and representatives. Always thank the business owner for the connection and their time, especially if you are giving them an elevator pitch. If you connect with someone that you don’t intend to pitch to, ask them about their business and try to build a relationship with them. So, you have some connections… start participating in the community. Once you build a network of connections, you can share events and promotions with your whole network. Post something interesting for your network to engage with and reap the rewards of networking. One of my favorite features of Alignable is their Q&A Forums. These forums give you the opportunity to engage with and help business owners all over the United States and Canada. Take advantage of this. You can offer your expertise and skills to a variety of problems and questions. You never know, this could land you a hot lead. When you’re not engaging with the whole Alignable network, start engaging with the little network of connections you have built. Like their posts, welcome new businesses to the neighborhood, and show interest in what your network is doing. Another great way to network in your community is to give recommendations. Go through the Alignable network in your area and recommend the businesses that you love. This helps them and they might just recommend you back. Once you receive 5 recommendations, you become a “Highly Recommended Business” on the platform. This community is all what you make it. If you approach it with hesitation and don’t put the time in to networking, chances are you won’t see many benefits. If you spend some time everyday engaging with your network and connecting with new businesses, the possibilities are endless. Okay Kyle… what has your experience been like? I have had a wonderful experience so far with Alignable. It has been an awesome tool to reach out to businesses in my area. Greensboro has a thriving small business community and Alignable brings so many of us together. I have followed the advice I gave in the last section and I have already made a lot of valuable connections. I have gotten more leads from Alignable than any other network and I have thoroughly enjoyed doing it. This is a platform that I would recommend to any of my clients or business connections to expand their network. I can confidently recommend the premium membership as it truly gives you the full power of this awesome small business network. 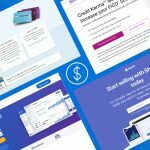 Check out this article that helped me when I started on Alignable. It comes from an awesome North Carolina based digital marketing firm who has seen great success with the platform. It has some tips and tricks that were extremely beneficial to me. Alignable is a small business network used for business owners to get in touch. It brings together owners, CEOs, representatives, and employees in a way that allows for engagement and good business relationships. My favorite features are the constantly updated business directory, the highly trafficked question and answer forum, and the premium analytics that provide very helpful insights. When you start using Alignable, be sure to complete your profile completely. After that, start building your network and actively participating in the community. If you put the time and effort in to this platform, you will see results. Your success depends on the time and energy you want to spend connecting and networking with businesses around you. I have had a great experience with this platform and would recommend it to any small business owner looking to grow their network. If you have the extra budget, the premium benefits are worth it, and you should give it a shot. Get the latest updates. Join our mailing list today! 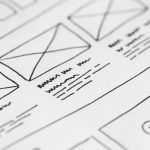 I have a passion for web design and helping businesses achieve their goals online. When I'm not designing or optimizing, I am spending time with my fiancee and 1 year old puppy.